It is our distinct pleasure to announce that tickets are now LIVE at this link for City Grocery Pizzeria with the big bad chef himself, John Currence! Please join us Tuesday, November 12 at 7:00 p.m. as this James Beard Award-winning chef pops Harry’s for the last time in 2013! In addition to a welcome cocktail, passed snacks including a Big Bad Pizza, four courses, and free-flowing wines, you’ll go home with John’s brand spanking new (and shockingly FIRST!) 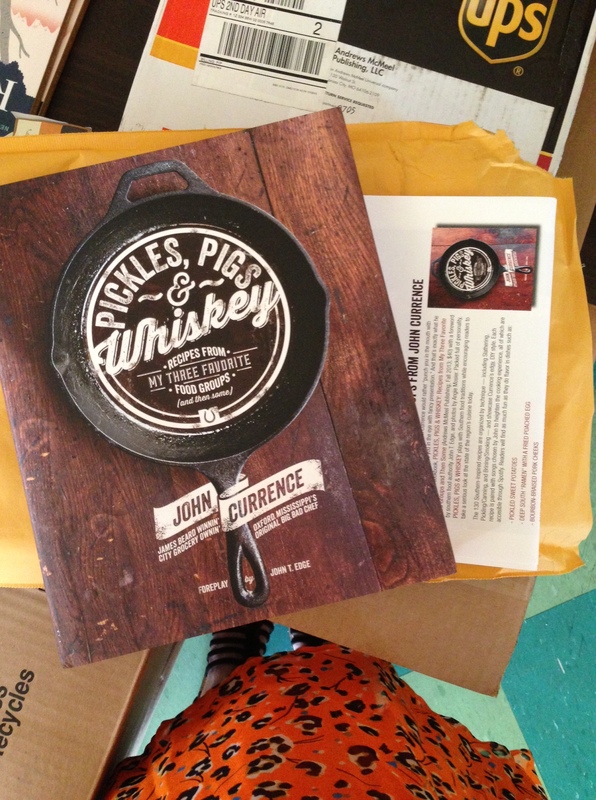 cookbook — Pigs, Pickles & Whiskey: Recipes from My Three Favorite Food Groups! John would rather “punch you in the mouth with his fantastic flavors than poke you in the eye with fancy presentation” says the online summary. Pigs, Pickles & Whiskey is packed full of 130 recipes organized by 10 different techniques, such as Boiling/Simmering, Slathering, Pickling/Canning, Roasting/Braising, Muddling/Stirring, Brining/Smoking, and Baking/Spinning, just to name a few. John’s fun-loving personality rings true throughout the book with his personal stories and history, and his one-of-a-kind recipes for Pickled Sweet Potatoes, Whole Grain Guinness Mustard, Deep South “Ramen” with a Fried Poached Egg, Rabbit Cacciatore, Smoked Endive, Fire-Roasted Cauliflower, and Kitchen Sink Cookie Ice Cream Sandwiches. What a bomb title, too!!! All that tax and gratuity are included in the ticket price of $150. John prepping his dish for Country Music Television’s 2010 Artists of the Year event in Nashville, TN. 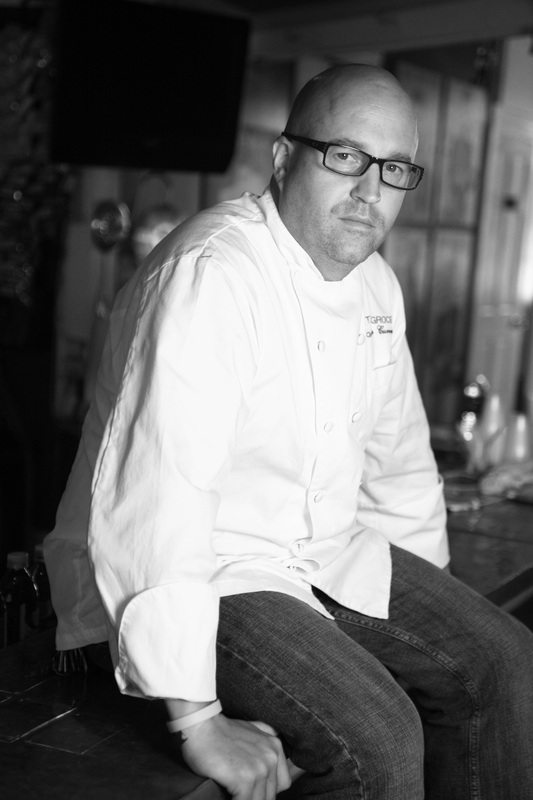 He joined Michael and RJ Cooper, a trio of James Bearded chefs each putting out a course during the awards show. I distinctly remember a visit to Robert’s Western World on the itinerary as well! John was born and raised in New Orleans, LA to a family that loved to cook and spend time in the kitchen. His mother’s travels with his father during his childhood, combined with the family’s several years in Europe, brought the dishes of the world to their dinner table, while time spent hunting and fishing in South Louisiana began the education in the foods of his home. Now settled in Oxford, Mississippi, his City Grocery Restaurant Group has become a landmark in the dining scene. His flagship, City Grocery’s exposed brick walls and heart pine plank floor augment the candle light and white linen staging some the most inventive and interesting food in the South. And he’s a just down right fun guy we have loved hanging out with in the past! The bar was set pretty high and now will be raised even higher. Lucky all of us that it’ll be on our home turf! So after esteemed visiting guests Gabrielle Hamilton, Jonathan Waxman, Marc Vetri, Jonathon Sawyer, Kevin Sbraga, Jon Shook and Vinny Dotolo, Paul Grieco, Chris Hastings, Hugh Acheson, Andrew Carmellini, Mindy Segal, Paul Kahan, April Bloomfield, Bill Telepan, Joey Campanaro, Jeff Michaud, Matthew Accarrino, Michael Solomonov, and Ben Ford, Michael is thrilled to invite James Beard Award-winning chef John Currence to take over Harry’s Pizzeria… Have a great rest of October, and let’s round out our 2013 pop-up season with a big bad bang. We seriously cannot wait for this one. Seriously!